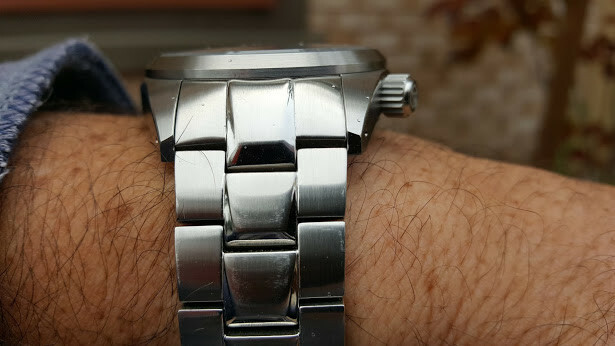 Another great microbrand watch from the vision of one man. AEVIG dates back to 2013 and was started by Chip Yuen in Holland. He has three successful watches under the AEVIG brand so far; the Corvid, Huldra and the Valkyr. The Balaur, named after a mythical two or multiheaded dragon from Eastern Europe, is his latest watch project. 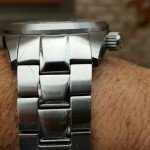 Rather than jump into the very crowded dive watch market, Chip has decided to go into the dress dive watch market, which is definitely no where near as saturated. 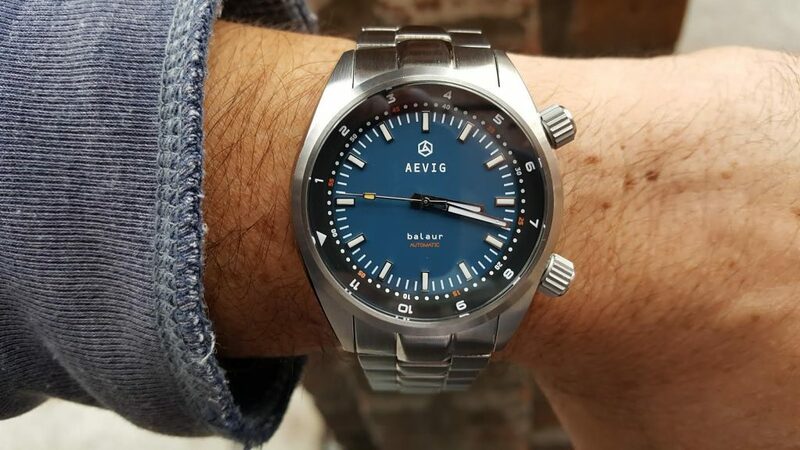 The Aevig Balaur is a clean design that shows extreme attention to detail, materials, finish and value. It is 42 mm in diameter and only 49 mm lug to lug. The carefully turned down brushed and polished lugs, make this a perfect watch for those of us with smaller wrists. Produced in 316L stainless with a beautifully beveled brushed bezel and carefully machined and O ringed 2 o’clock and signed 4 o’clock screw down gear edged crowns, this watch oozes quality. The crystal is double domed sapphire with internal anti reflective coating and it has a 300M WR rating. 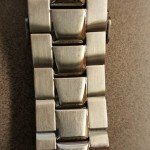 The bracelet end links are solid and the clasp is folding with a push button release. 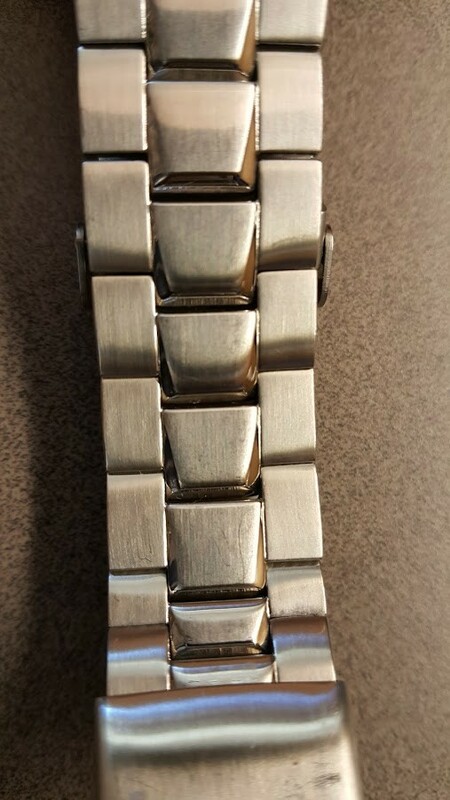 The case is drilled for easier bracelet changing and the raised polished edge of the center links of the bracelet mimicking the back of a dragon. 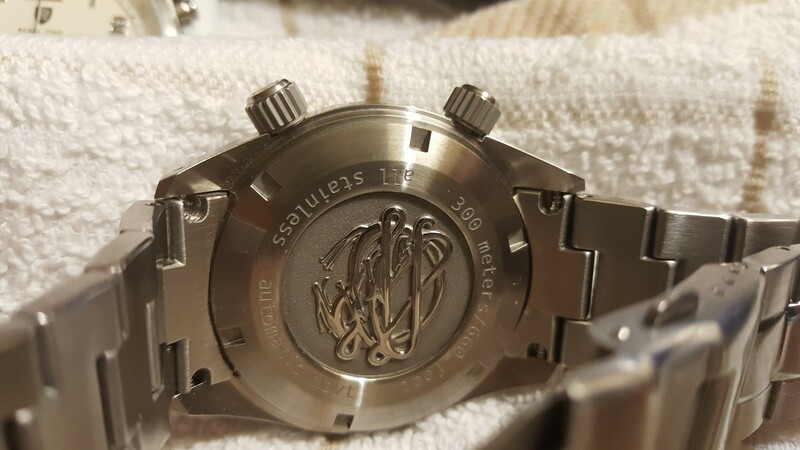 Add the nicely engraved and detailed Balaur dragon on the screw down case back and you have a home run design. The 2 o’clock crown operates the internal rotating bezel, which can be used as a second time zone within an 11 hour range. This rotating bezel can also be used as a 60 minute/second countdown, located on the beveled portion of the internal bezel. 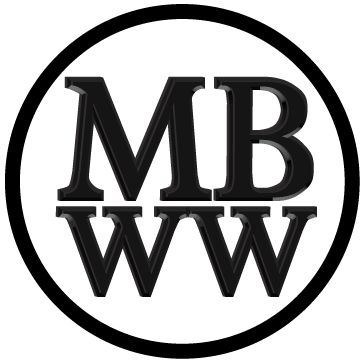 Overall, it is a extremely readable and agreeable design in every respect, including the hands and face lume. Lume is either C3 in green or BG-W9 in blue. Powering this watch is the basic grade automatic ETA 2824-2, without the date window, the most popular Swiss automatic movement on the market. Hopefully, this watch will be offered soon with an optional date window. The 28,800, 25 jewel, 38 hour reserve movement in this iteration has in my experience, been accurate to about 10 seconds a month. Hopefully, in the future a higher grade ETA 2824-2 will be offered with an exhibition back.